(25a) It is of utmost importance to review Joint Action 2004/552/CFSP1 as it does not take into account the entry into force of the Lisbon Treaty and specifically the appointment of the High Representative of the Union for Foreign Affairs and Security Policy and the establishment of the European External Action Service (EEAS). Joint Action 2004/552/CFSP describes the exceptional and urgent cases of threats to the European Union or a Member State arising from the operation or use of the system, or in the event of a threat to the operation of the system, in particular as a result of an international crisis. There is an urgent need to clarify and strengthen the role of the High Representative of the Union for Foreign Affairs and Security Policy pursuant to the urgency procedure according to Articles 3 and 4 of Joint Action 2004/552/CFSP on the rules, procedures and measures to be taken in the event of a threat to the security of the European Union or a Member State, notably where PRS receivers are lost, misused or compromised. An amendment of Joint Action 2004/552/CFSP should also take into account the expertise of the EEAS in the field of early warning, situational awareness, security and defence. ____________ OJ L 246, 20.7.2004, p. 30. (28) As the programmes will be, in principle, financed by the Union, public procurement under the programmes should comply with Union rules on public contracts and should aim, first and foremost, to obtain best value for money, control costs, mitigate risks, improve efficiency and reduce reliance on a single supplier. Open access and fair competition throughout the supply chain and the balanced offering of participation opportunities to industry at all levels, including, in particular, new entrants and small and medium-sized enterprises (hereinafter ‘SMEs’), should be ensured. Possible abuse of dominance and of long- term reliance on single suppliers should be avoided. In order to mitigate programme risks, to avoid reliance on a single source of supply and to ensure better overall control of the programmes and their costs and schedules, multiple sourcing should be pursued, wherever appropriate. Union industries should be permitted to rely on non-Union sources for certain components and services where substantial advantages in terms of quality and costs are demonstrated, taking account, however, of the strategic nature of the programmes and of Union security and export control requirements. Advantage should be taken of public sector investment and industrial experience and competence, including that acquired during the definition and development and validation phases of the programmes, while ensuring that the rules on competitive tendering are not contravened. (30a) The services offered by Public Regulated Service (PRS) might play an important role for different weapon systems, especially concerning navigation and guidance. It is therefore important that the Commission, the Council, the European External Action Service (EEAS) and Member States act in accordance with the 1967 Outer Space Treaty and that Member States and the EEAS increase their efforts regarding the possible revision of the international legal framework or, alternatively, regarding a new treaty or code which takes into account the technological progress since the 1960s and effectively prevents an arms race in outer space. The Union should furthermore strengthen the legal framework created by the Outer Space Treaty to safeguard a peaceful and secure functioning of space infrastructure. The Union should therefore strengthen its capabilities to achieve space situational awareness together with its partners in the framework of a multilateral space surveillance system. (31) In view of the global nature of the systems, it is essential that the Union can enter into agreements with third countries and international organisations in the context of programmes under Article 218 of the Treaty on the Functioning of the European Union, in particular to ensure their smooth implementation, optimise services provided to citizens of the Union and meet the needs of third countries and international organisations. It is also useful, where necessary, to adapt existing agreements to changes in the programmes. When preparing or implemenand negotiating these agreements, the CommissionEEAS may have recourse to the assistance of the European External Action ServiceCommission, the European Space Agency and the European GNSS Agency, within the limits of the tasks allocated to them under this Regulation. Due to the sensitive, strategic and global nature of the systems, the EEAS, when negotiating agreements with third countries, should duly take into account the rights of the European Parliament under Article 218. It should equally take into account the sensitive and strategic nature of some of the system's services such as PRS, thus ensuring full compliance with the criteria and guidelines laid down in Council common position 2008/944/CFSP defining common rules governing the control of exports of military technology and equipment1 and Council Regulation (EC) No 428/2009 of 5 May 2009 setting up a Community regime for the control of exports, transfer, brokering and transit of dual-use items2. ____________ 1 OJ L 335, 13.12.2008, p. 99. 2 OJ L 134, 29.5.2009, p. 1. Joint Action Governance structures in case of exceptional situations 1. Whenever the security of the Union or its Member States may be affected by the operation of the systems, the procedures set out in Council Joint Action 2004/552/CFSP shall applyRegulation (EU) .../... of the European Parliament and of the Council shall apply. 2. In situations where the operation of the system may affect the security of the Union or its Member States, the Council, in close coordination and cooperation with the High Representative of the Union for Foreign Affairs and Security Policy and with the EEAS, shall decide on the necessary measures to be taken. 3. The High Representative of the Union for Foreign Affairs and Security Policy shall be empowered to take the necessary measures in cases of urgency and shall ensure permanent surveillance of the operation of the system. 4. In the event of a threat to the security of the Union or of a Member State arising from the operation or use of the system, or in the event of a threat to the operation of the system, in particular as a result of an international crisis, the Council, in close coordination and cooperation with the High Representative of the Union for Foreign Affairs and Security Policy and the EEAS, acting unanimously, shall decide on the necessary instructions to the European GNSS Supervisory Authority (SA) and the concession holder of the system. Any Member of the Council, the High Representative or the Commission may request a Council discussion to agree on such instructions. 5. In exceptional cases, where the urgency of the situation is such that it requires immediate action, the High Representative is authorised to issue the necessary instructions. The High Representative shall immediately inform the Council and the Commission of any instructions issued pursuant to this paragraph. 6. The Council shall, in close coordination and cooperation with the High Representative of the Union for Foreign Affairs and Security Policy and the EEAS, specify in particular the measures to be taken in the event of a threat to the security of the European Union or a Member State, notably where PRS receivers are lost, misused or compromised; it shall also specify the necessary instructions that may be issued to the SA for all matters that could have an impact on the security of the Union or its Member States. 2 a. The Member States shall take all necessary measures to ensure the protection of the Union's space infrastructure. In particular, Member States shall foster the legal framework in outer space and adhere to the principals of the EU Code of Conduct in Outer Space activities, including the prohibition of harmful interference with space objects, the prohibition of action that creates harmful space debris, the adherence to the UN space debris mitigation guidelines and the creation of transparency and security building measures in outer space. (19) Where the use of military capacities is considered in support of civil protection operations to be appropriate, cooperation with the military should follow the modalities, procedures and criteria established by the Council or its competent bodies for making available to the Mechanism military capacities relevant to the protection of civilian populations, in particular since there is in some specific cases the need for coordination and cooperation between civilian and military actors when it comes to civil protection and disaster response. Civilian and military chains of command should be kept separate. 4. Member States may, subject to appropriate security safeguards, provide information about relevant military capacities that could be used as a last resort as part of the assistance through the Mechanism, such as transport and logistical or medical support. Member States, the Council, the External Action Service and the Commission shall in this case respect both the Oslo Guidelines and the Guidelines on the use of Military and Civil Defence Assets to support United Nations humanitarian activities in complex emergencies (MCDA Guidelines) and guarantee that civilian and military chains of command are being kept separate. 4. Recallquires that the Union's strategic partnerships with producer and transit countries, in particular countries covered by the European Neighbourhood Policy (ENP), require adequate tools, predictabilEU's infrastructure- related projects oriented at diversifying supply routes and increasing Union's energy security, stability and long-term investment; emphasises, to that end, that the Union's climate objectives must be in accord with EU infrastructure investment projects oriented at diversifying supply routes and increasing the Union's energy security;hould be in line with Union's climate objectives and international climate commitments. 28. Instructs its President to forward this resolution to the High Representative / Vice-President of the Commission, the EU Special Representative on Human Rights, the Council, the Commission, the parliaments and governments of the Member States, and the Secretary-General of the United Nations. (7a) The SST support programme should contribute to ensuring the peaceful use and exploration of outer space. (8) The SST support programme should also be complementary to existing mitigation measures such as the United Nations (UN) guidelines for space debris mitigation or other initiatives, such asand be consistent with the Union proposal for an international Code of Conduct on outer space activities. (8a) Parallel to the need for a long term and comprehensive SSA capacity, the European Union should prioritise, support and benefit from initiatives of active removal and passivation measures of space debris, such as the one developed by ESA, as being the best effective way to reduce risks of collision and risks linked to their uncontrolled re-entry into the Earth atmosphere. (9) Civil-military SSA user requirements were defined in the Commission staff working paper ‘European space situational awareness high-level civil-military user requirements’14 endorsed by the Member States in the Political and Security Committee of the Council on 18 November 201115 . The provision of SST services should serve only civilian purposes. Purely military requirements should not be addressed by this Decision. As all European Union structures, institutions and policies which rely on space based assets, the Common Security and Defence Policy (CSDP) European Defence Agency (EDA) will profit from the provision of effective SST services but both have no pro-active role in the implementation of this Directive. __________________ 14 SEC(2011) 1247 final, 12.10.2011. 15 Council document 15715/11, 24.10.2011. CV/0 deleted Doctorate in business studies, Copenhagen Business School (thesis on 'technology in everyday life') (1988). CV/1 deleted Nordic Countries' Urban Planning Institute (further course for planners) (1976). CV/2 deleted Doctorate in technology, University of Lund, Architecture Department (thesis on 'users' requirements in construction') (1973). CV/3 deleted Qualified engineer, Helsinki University of Technology (1968). CV/4 deleted Senior adviser, Foreign Policy Institute, University of Eastern Finland, Ministry of Education and Culture (2009-2011). CV/5 deleted Member of the Finnish Government, Minister of Employment (member, Ministerial Committee on Foreign and Security Policy) (2007-2009). CV/6 deleted Member of the Finnish Parliament (Defence Committee, Foreign Affairs Committee and Employment and Equality Committee) (2003-2007). CV/7 deleted Director, Copenhagen Peace Research Institute (COPRI) (responsible for international relations, security issues, war research and conflict management) (2001-2003). CV/8 deleted Provincial director, Regional Council of North Karelia (regional administrator responsible for economic and social development, EU Structural Fund resources, cross-border cooperation with Russia and regional planning) (1993-2001). CV/9 deleted Visiting professor, Technology and Culture Centre, University of Oslo, Norway (1993-1996). CV/10 deleted Assistant professor, Technical Assessment Unit, Danish University of Technology (1989-1995). CV/11 deleted Visiting professor, Technology and Social Change Department, University of Linköping, Sweden (autumn 1990). CV/12 deleted Senior researcher, Organisations and Industrial Sociology Department, Copenhagen Business School (1984-1990). CV/13 deleted Research director, Neighbourhood and Housing Planning Department, Danish Construction Research Institute (1977-1984). CV/14 deleted Senior researcher, Swedish State Planning Authority, Stockholm (1975-1977). CV/15 deleted Social worker, United Nations Centre for Housing, Building and Planning, New York (1973-1975). CV/16 deleted Project manager, Architecture Department, Lund Institute of Technology, Sweden (1970-1973). CV/17 deleted Visiting researcher, US National Standards Institute, Construction Research Department, Washington (1972-1973). CV/18 deleted Product development director, Perstorp AB, Sweden (subsequently consultant on obtaining venture capital from the USA for the business) (1973-1974) (1968-1971). CV/19 deleted Chair, Green Party (Finland) (2005-2009). CV/20 deleted Member, Finnish Government Committee on Comprehensive Security (2010-). CV/21 deleted Member of the Finnish Government's Ministerial Committee on Foreign and Security Policy (2007-2009). CV/22 deleted Member, Defence Committee, Finnish Parliament (2003-2007). CV/23 deleted Member, EU Competitiveness Council (2008-2009). CV/24 deleted Member, EU Employment and Social Affairs Council (2007-2009). CV/25 deleted Member, administrative body responsible for the use of EU Structural Fund appropriations in Eastern Finland (Objectives 6 and 1, Interreg Karelia) (1995-2001). CV/26 deleted Member (and originator), EU COSTA24 Group researching new threats to society (terrorism, new wars, private armies) (2002-2005). CV/27 deleted Member (and originator), EU COSTA10 research group considering changes to defence policy (1998-2001). CV/28 deleted Member, European Commission Information Society Technologies Advisory Group (ISTAG) (1999-2002). CV/29 deleted Chair, bureau, EU COSTA4 Group considering the relationship between technology and society (1992-1997). CV/30 deleted Member, Technical Committee, COST, reviewing social sciences (1989-1994). CV/31 deleted Member, CREST temporary experts group concerned with the Fourth Framework Programme of Research and Technological Development (1993-1994). CV/32 deleted Member, Conference of Parliamentarians of the Arctic Region (2001-2003). CV/33 deleted Member, State Finland-Russia Development Committee dealing with neighbourhood cooperation (1997-2000). CV/34 deleted Member, Executive Committee, Association of European Border Regions (1996-2001). CV/35 deleted NATO temporary risk management initiative (Danish representative, 2002). CV/36 deleted NATO military change activities, conference considering changes, NATO Headquarters May 1993, Stavanger May 1994, Budapest 1994, Scotland July 1995. CV/37 deleted Member, Danish Social Sciences Research Council (1989-1994). CV/38 deleted Member, committee of the Norwegian Research Council dealing with IT and society (1984-1992). CV/39 deleted Member, VALUE think-tank on interactions between research and society (1993-1994). CV/40 deleted Member, Danish Parliament Technology Council (1986-1991). CV/41 deleted Innovation management, University of Joensuu (1999-2000). CV/42 deleted Technology assessment, sociology of technology and of the financing of innovation, Danish University of Technology (1991-1995). CV/43 deleted Ecology in the Urals, Danish University of Technology (summer 1992). CV/44 deleted Technology assessment, Copenhagen Business School (1987-1988). CV/45 deleted Social indicators for housing, University of New York, Stony Brook, Long Island (1973-1975). CV/46 deleted Performance requirements of buildings, Lund Institute of Technology (1972). CV/47 deleted Board member, Finnish Post Office (2000-2002). CV/48 deleted Member, Board of Governors of Sonera (1997-2001). CV/49 deleted Board member, Finnish Post and Telecommunications (1990-1997). CV/50 deleted Adviser on venture capital to the State Investment Board, Stockholm, Sweden (1975-1976). CV/51 deleted Investment consultant to the Perstorp New Business Development company (venture capital), New York (1972-1975). Doctorate in business studies, Copenhagen Business School (thesis on 'technology in everyday life') (1988). Nordic Countries' Urban Planning Institute (further course for planners) (1976). Doctorate in technology, University of Lund, Architecture Department (thesis on 'users' requirements in construction') (1973). Qualified engineer, Helsinki University of Technology (1968). Senior adviser, Foreign Policy Institute, University of Eastern Finland, Ministry of Education and Culture (2009-2011). Member of the Finnish Government, Minister of Employment (member, Ministerial Committee on Foreign and Security Policy) (2007-2009). Member of the Finnish Parliament (Defence Committee, Foreign Affairs Committee and Employment and Equality Committee) (2003-2007). Director, Copenhagen Peace Research Institute (COPRI) (responsible for international relations, security issues, war research and conflict management) (2001-2003). Provincial director, Regional Council of North Karelia (regional administrator responsible for economic and social development, EU Structural Fund resources, cross-border cooperation with Russia and regional planning) (1993-2001). Visiting professor, Technology and Culture Centre, University of Oslo, Norway (1993-1996). Assistant professor, Technical Assessment Unit, Danish University of Technology (1989-1995). Visiting professor, Technology and Social Change Department, University of Linköping, Sweden (autumn 1990). Senior researcher, Organisations and Industrial Sociology Department, Copenhagen Business School (1984-1990). Research director, Neighbourhood and Housing Planning Department, Danish Construction Research Institute (1977-1984). Senior researcher, Swedish State Planning Authority, Stockholm (1975-1977). Social worker, United Nations Centre for Housing, Building and Planning, New York (1973-1975). Project manager, Architecture Department, Lund Institute of Technology, Sweden (1970-1973). Visiting researcher, US National Standards Institute, Construction Research Department, Washington (1972-1973). Product development director, Perstorp AB, Sweden (subsequently consultant on obtaining venture capital from the USA for the business) (1973-1974) (1968-1971). Chair, Green Party (Finland) (2005-2009). Member, Finnish Government Committee on Comprehensive Security (2010-). Member of the Finnish Government's Ministerial Committee on Foreign and Security Policy (2007-2009). Member, Defence Committee, Finnish Parliament (2003-2007). Member, EU Competitiveness Council (2008-2009). Member, EU Employment and Social Affairs Council (2007-2009). Member, administrative body responsible for the use of EU Structural Fund appropriations in Eastern Finland (Objectives 6 and 1, Interreg Karelia) (1995-2001). Member (and originator), EU COSTA24 Group researching new threats to society (terrorism, new wars, private armies) (2002-2005). Member (and originator), EU COSTA10 research group considering changes to defence policy (1998-2001). Member, European Commission Information Society Technologies Advisory Group (ISTAG) (1999-2002). Chair, bureau, EU COSTA4 Group considering the relationship between technology and society (1992-1997). Member, Technical Committee, COST, reviewing social sciences (1989-1994). Member, CREST temporary experts group concerned with the Fourth Framework Programme of Research and Technological Development (1993-1994). Member, Conference of Parliamentarians of the Arctic Region (2001-2003). Member, State Finland-Russia Development Committee dealing with neighbourhood cooperation (1997-2000). Member, Executive Committee, Association of European Border Regions (1996-2001). NATO temporary risk management initiative (Danish representative, 2002). NATO military change activities, conference considering changes, NATO Headquarters May 1993, Stavanger May 1994, Budapest 1994, Scotland July 1995. Member, Danish Social Sciences Research Council (1989-1994). Member, committee of the Norwegian Research Council dealing with IT and society (1984-1992). Member, VALUE think-tank on interactions between research and society (1993-1994). 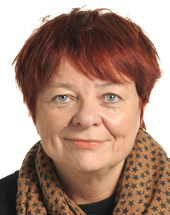 Member, Danish Parliament Technology Council (1986-1991). Innovation management, University of Joensuu (1999-2000). Technology assessment, sociology of technology and of the financing of innovation, Danish University of Technology (1991-1995). Ecology in the Urals, Danish University of Technology (summer 1992). Technology assessment, Copenhagen Business School (1987-1988). Social indicators for housing, University of New York, Stony Brook, Long Island (1973-1975). Performance requirements of buildings, Lund Institute of Technology (1972). Board member, Finnish Post Office (2000-2002). Member, Board of Governors of Sonera (1997-2001). Board member, Finnish Post and Telecommunications (1990-1997). Adviser on venture capital to the State Investment Board, Stockholm, Sweden (1975-1976). Investment consultant to the Perstorp New Business Development company (venture capital), New York (1972-1975).